Additionally, the bill states that, starting on or before July of 2020, the advisory committee would be required to made recommendations regarding the appropriateness and feasibility of proposed requirements on home schools, and would also require the Superintendent and state board to make recommendations to the Legislature and Governor regarding additional requirements on home schooling. It’s not exactly known what the bill means when it calls for “minimum qualifications for home school instructors,” but in the far-left state of California, one can only imagine. Will parents be forced to teach their children common core math? Will they be forced to teach their children that there are 64 genders instead of just two? Will they have no choice but to tell their kids that man is the sole contributor to global warming? The possibilities as to what is meant by “additional content or curriculum standards” are endless. The truth is that in the state of California, individual liberty is quickly becoming nonexistent, and in more ways than one. Back in 2015, California’s legislature passed SB 277, which ultimately threatened to eliminate the freedom of parents to decide against vaccinating their children for personal or philosophical reasons. But it’s not just the freedom to home school and the freedom to reject vaccinations for your children that’s under attack in socialist California; it’s also the freedom to practice religion. Assembly Bill 2943 would make it an “unlawful business practice” to participate in “a transaction intended to result or that results in the sale or lease of goods or services to any consumer” that advertises or engages in “sexual orientation change efforts with an individual.” This would mean that AB 2943 would threaten the sale of the Bible, considering the fact that the Bible condemns homosexuality and defines marriage as being between one man and one woman. For those who don’t live on the west coast, California should serve as a stark reminder of what happens when the government is allowed to grow in both size and scope without any limitations whatsoever. 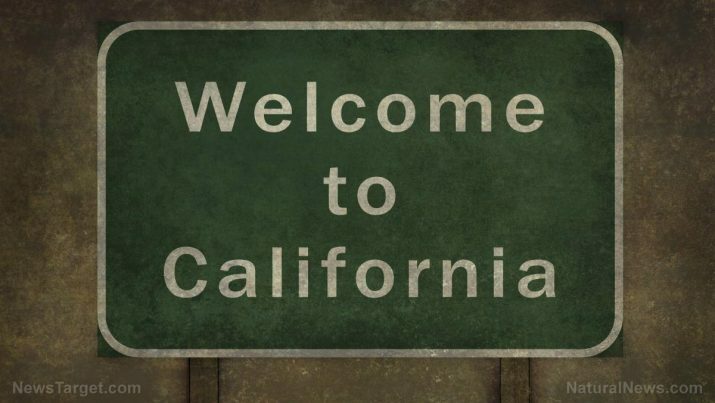 The late Ronald Reagan said it best: As government expands, liberty contracts.” Read Collapsifornia.com for more news coverage on the failed, collapsing socialist state of California.